Home » Education » History of Puerto Ricans in the U.S.
History of Puerto Ricans in the U.S. The Historical Narrative establishes the cultural roots of the Puerto Rican people, beginning with the development of Taíno indigenous culture followed by the inflow of enslaved Africans brought by the Spanish. Labor Migration and U.S. Policies explores Puerto Rican migrations to different parts of the United States and indicates the growth of various Puerto Rican communities at different historical periods. Puerto Rican New York during the Inter-War Years describes how Puerto Rican migrants, the majority of working class background, built their larger communities across New York. The Great Migration at Mid-Century explores the airborne Puerto Rican mass migration that dominated the post-World War II years and the growth of Puerto Rican communities in various U.S. cities. 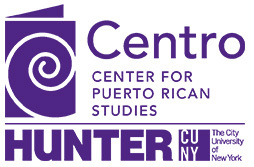 Community and Organizations explores the growth of Puerto Rican communities in various U.S. cities, Puerto Rican struggles for recognition, the founding of institutions, the creation of new traditions, and the accomplishments of prominent community members. Resistance and Empowerment explores the crusade to improve the quality of schools in poor neighborhoods, establish community control of local schools, demand open admissions and increased access to higher education for underrepresented students, provide bilingual education, reduce dropout rates, and develop inclusive curricula that reflected the neglected history of Puerto Rican and other minority communities in the United States, and the overall multicultural/multiracial character of American society. Politics explores the period of activism that occurred during the late 1960s and 70s is known as the Puerto Rican Movement. This class also looks at key major outcomes of Puerto Rican civil rights struggles are illustrated by the number of leading institutions and organizations that Puerto Ricans created to service the community in areas such as education, social and health services, public policy, politics, and cultural preservation and enrichment. This 7-part essay by Virginia Sanchez-Korrol, professor emerita, Brooklyn College, features a comprehensive overview of the Puerto Rican experience in the U.S.